As the component that your car drives on, tyres are more important than we care to think. Getting a good set for the road is still only a good start. A few hundred miles later, even the best of tyres start to gradually wear off, affecting the performance and safety of the car. Often tyres are both the most overlooked and single most important component of any ride. As the final gear between your car and the road, all the force of your acceleration, braking power, and torque from turning must be transmitted through your tyres before moving your car even an inch. Even if you have the most powerful car in the world, it means nothing unless you have the proper tyres. Of course, there are many factors that could lead to ageing. But what increases tyre wear? The main guideline for replacing your tyres is tread depth. Beyond tread depth, you want to consider the age of your tyres when checking for roadworthiness. Here are the basic guidelines for checking your tyres. By law, to be considered roadworthy in Australia your tyre’s tread depth must be at least 1.6mm deep. How long do tyres last in years and what's the car tyre's lifespan? To make this more easy, many tyres feature tread wear indicators (small bars across the grooves of the tyre, at exactly 1.6mm). Once the tread wear indicator is flush with your tread, it’s time to replace your tyres. 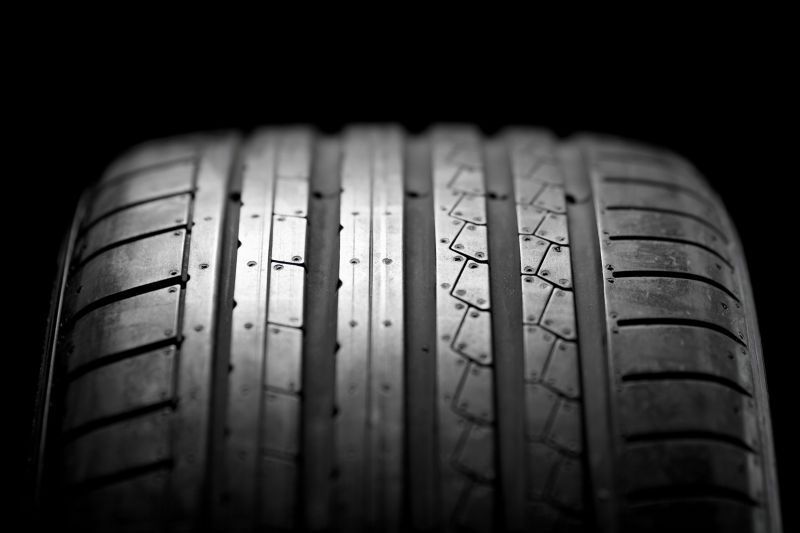 If your tyres are more than 5 years old, they should be checked once per year. If your tyres are more than 10 years old, they should be replaced immediately. 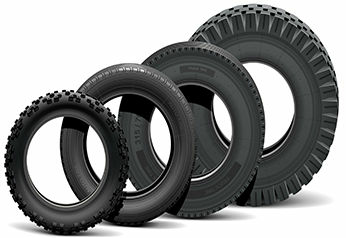 Even if they still have tread, rubber deteriorates and cracks with age, so it’s best to simply replace them. Tip: Tyres are best replaced in complete sets. This way, you don’t get uneven wear between tyres, and your car functions more smoothly. If you should need to replace less than a full set, it’s best to do it in sets of two and put the new ones on the rear for optimum traction (unless you’re driving a front wheel drive, in which case you should put them in front). Tread depth is a factor to consider when replacing tyres. All tyres have tread wear indicators which are small blocks of rubber moulded into the tread grooves at regular intervals. As the tyre wears, these blocks get closer and flush with the surface of the tread. What is the tyre tread depth legal limit in Australia? The minimum legal tread depth is 1.5 mm across the width of the tread. If you are not sure, if you are having an illegal tread, follow these simple steps and you'll be save. The easiest way of ascertaining the tread depth is by using a tread depth indicator, available at tyre retailers or at one of our fitting stations. Uneven wear is a sign that showcases more than normal stress on the tyre. This could be due to either wrong wheel alignment, wearing suspension, or that you have been driving with the tyres under or over-inflated. To check for uneven wear, inspect the whole contact surface, including the outer edges of the tyre. Our interactive animation will show you the tyre wear in detail. Experts claim that a tyre older than five years would need replacement as the rubber loses its suppleness through the drying out of moisture and oils. A tyre’s age can be identified by checking the manufacture date stamped on the sidewall, usually in the form of a four-digit number, where the first two digits represent the week of manufacture and the last two digits the year. A good set of wheels have a big role in giving you a stable ride, sure fire handling and improved fuel economy. The state of the rubber your vehicle rides on can also mean confident braking and a reassured drive. Check your tyres regularly, and if there are signs of wear and tear you know it's time to change them. 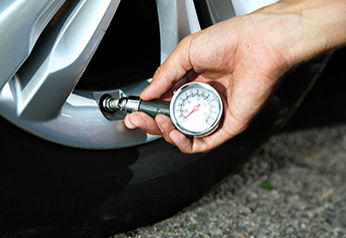 Driving with over inflated tyres wears down the center of the tread, while driving with under-inflated tyres causes wear near the shoulders of the tread. Driving with under-inflated tyres will not only cause excessive uneven wear, but also decreases your fuel economy. It’s estimated that for each 3 psi (pounds per square inch) your tyres are under-inflated, you lose 1% fuel economy and add 10% more tyre wear. It’s best to check your air pressure at least once per month (if not every time you stop to fill up your tank). Also keep in mind that changes in temperature effect your air pressure - colder temperatures will cause your air pressure to drop, while hot temperatures will cause it to increase. A general rule of thumb is to keep your tyres somewhere between 30 - 25 psi (pounds per square inch). Problems with tyre alignment manifest as wobbling, pulling to one side, or your wheels not correcting after straightening out of a turn. Having unaligned tyres leads to undesirable, uneven wear patterns like cupping, feathering, one-sided wear, and others. This uneven wear decreases the performance of your tyres, your car, and wears down your tyres faster. Getting your tyres aligned can be expensive, but is well worth the cost. You can read the full wheel alignment guide here. Because your tyres wear differently depending on their placement, it’s best to rotate them occasionally to even out wear. For example, if your car is a rear-wheel drive, your rear tyres will wear faster (and vice versa for front-drive vehicles). Rotating tyres is best done regularly to minimize difference in wear between front and rear sets of tyres. The more often you rotate, the more even wear you’ll get (and better performance out of your tyres). 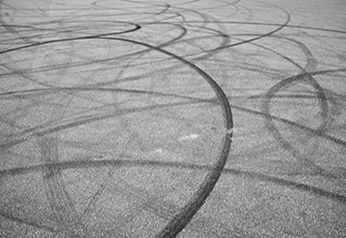 The pattern of rotation depends on whether your car is front wheel drive, rear wheel drive, and directional or non-directional tyres. Check out how tyre rotation is done. Ultimately there are two ways to damage your tyres: those you control, and those you don’t. Luckily, the most common causes of tyre damage are entirely under your control. 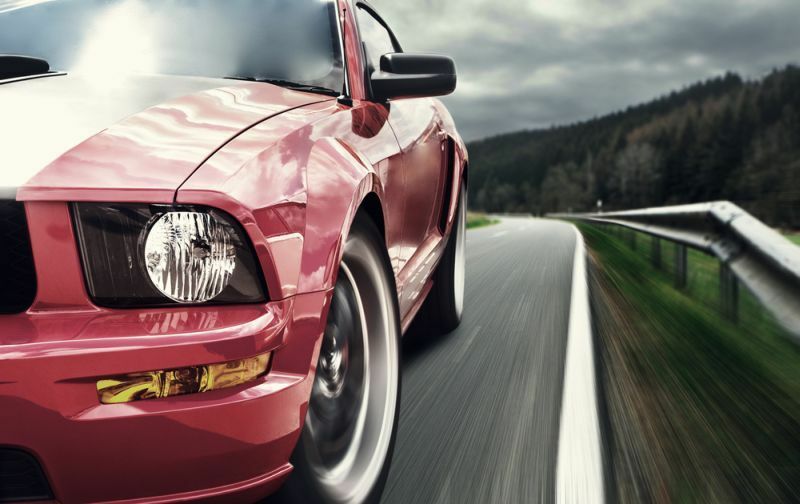 Driving at high speed and sudden braking, causing build up of heat, air loss, and abrasion. Over- or under-inflation, leading to irregular tread wear. Overloading, putting too much weight on your vehicle and a lot of stress on your tyres. The rest of the common causes of tyre damage are road hazards. Although you can’t control the roads, these you can avoid hazards like potholes, debris, and curbs by simply driving more attentively and carefully. How many kms should tyres last? Mileage from tyres is highly variable from driver to driver. Your personal mileage depends on your vehicle, your driving style, and local road conditions. For the average set of tyres, it’s reasonable to expect about 40,000km of life out of the tyres. Considering the average Aussie drives somewhere around 15,000km per year, the average driver can expect their tyres to last 2 - 3 years. Again, your mileage will vary. Drivers who treat their tyres kindly may be able to extend them to 80,000km, while the harsher driver may only get 10,000km. Obviously, the more smoothly you drive (with less sudden accelerations or braking), the longer your tyres will last. Driving on smoother roads and in more temperate climates will also prolong your tyre’s lifespan. To really get the most out of your tyres, here are the top three things you can do to maximise the lifespan and performance of your tyres. There comes a time, depending on the type of car, its use and, eventually, the age of the tyre itself, when replacement is necessary. All car owners should know the best time to get your worn tyre replaced. 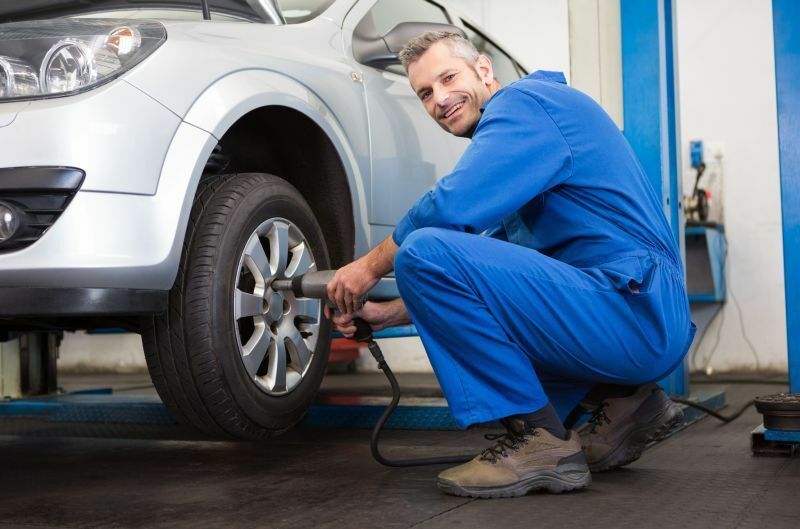 If you are not an expert, your mechanic would be able to advise you whether your tyres need a change. The indicators are generally simple and involve little more than a visual check. 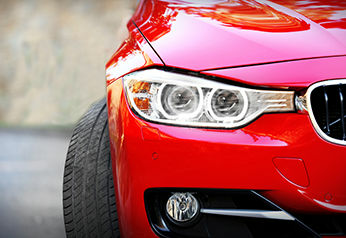 Getting a new set of tyres immediately betters the performance, mileage, and feel of your car. Checking when to replace your tyres is very straightforward (1.6mm tread depth). Driven properly, anyone can extend their tyre’s lifespan well beyond the average mileage. Regularly checking your alignment, air pressure, and rotating your tyres will also boost their lifespan (as well as your car’s performance) significantly.